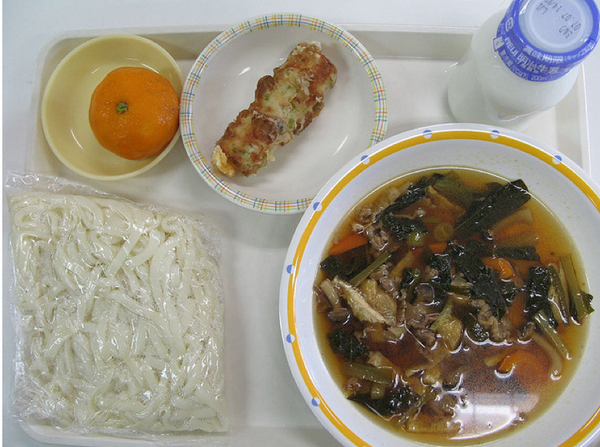 Contents: Udon, cheese-stuffed chikuwa (fish sausage), frozen Mandarin orange, and milk. Notes: I'd be interested in trying the chikuwa. That soup looks delicious. But... "frozen" mandarin orange? How does that work?